Chair (rolling) of the Institute of Physics, Fellow’s Appointing Committee – IOP Fellow’s Committee. Member of the Executive Council of the British Cryogenics Council. – BCC. Member of the International Advisory Committee for the International Conference on Superconductivity and Magnetism – ICMS2016, Fethiye, Turkey, April 2016. Member of the International Advisory Committee Member for the Mechanical and Electromagnetic Properties of Composite Superconductors, - MEM16 Tallahassee, USA 2016. Supervisor for 4 PhD research projects. Lecture course responsibilities are: delivering lectures, setting homework problems, coordinating example classes, setting and marking examinations. 2nd year: Electromagnetism - Maxwell's equations (20 lectures for ~ 240 students, 36 Examples classes for ~ 60 students). Patent: Hampshire, Damian P., Lee T. S. and Surrey, E. (2018) 'Superconducting magnet for producing part of a substantially toroidal field.' - Open AccessIntellectual Property Office, London. Application number (1707392.5). Published 18thJuly 2018. Nanocrystalline Superconductivity - An (expired) patent for the method of increasing Bc2in superconductor materials by fabricating them in nanocrystalline form : Hampshire-patent-document.pdf. For the best experiments, we combine world-class commercially available equipment with probes that have been designed and built in-house. 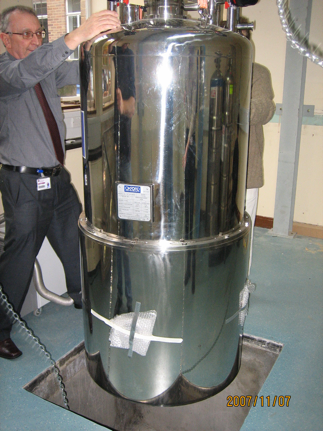 Commercial cryogenic equipment in-house includes two high-field magnet systems, a fully equipped PPMS system, a new high-pressure system and a He-3 system. The world-class high field facilities and instruments are supported by a number of specialist probes designed and built in-house for making strain, magnetic, resistive and optical measurements on superconductors. For example, theJC(B,T,ε) data were obtained using an instrument built in Durham for use in our 17 Tesla vertical magnet system and for use in international high-field facilities in Grenoble, France. X. F. Lu, S. Pragnell and D. P. Hampshire - Small reversible axial-strain window for the critical current of a high performance Nb3Sn superconducting strand - Appl. Phys. Lett.91132512-3 (2007), also published in: Virtual Journal of Applications of Superconductivity, October 1st, Vol. 13(2007). C. M. Friend and D. P. Hampshire - Critical current density of Bi2Sr2Ca1Cu2Oδmonocore and mutifilamentary wires from 4.2K up to Tcin high magnetic fields. Physica C258213-221 (1996). D. N. Zheng, H. D. Ramsbottom, and D. P. Hampshire - Reversible and irreversible magnetisation of the Chevrel phase superconductor PbMo6S8. Phys Rev B 5212931-12938 (1995). A. B. Sneary, C. M. Friend and D. P. Hampshire - Design, fabrication and performance of a 1.29 T Bi-2223 magnet. Super. Sci. and Technol.14433-443 (2001). N. Cheggour and D. P. Hampshire - A probe for investigating the effects of temperature, strain, and magnetic field on transport critical currents in superconducting wires and tapes. Rev. Sci. Instr.714521-4530 (2000). H. D. Ramsbottom and D. P. Hampshire - A Probe for measuring magnetic field profiles inside superconductors from 4.2K up to Tcin high magnetic fields. J. Meas. Sci. and Tech.61349-1355 (1995). G. J. Carty and Damian P. Hampshire - Numerical studies on the effect of normal-metal coatings on the magnetization characteristics of type-II superconductors - Phys. Rev. B.71(2005) 144507 - also published in the May 1st, 2005 edition of the Virtual Journal of Applications of Superconductivity. I. J. Daniel and D. P. Hampshire - Harmonic calculations and measurements of the irreversibility field using a vibrating sample magnetometer. Phys. Rev. B.616982-6993 (2000). Management of energy resources will be one of critical issues in the C21st. Superconductivity will have an important contribution to make to the development of new technologies. Durham university is ideally positioned to play a key role is this area. There is a industrial need for superconducting materials that carry higher critical current in high magnetic fields to reduce cost. 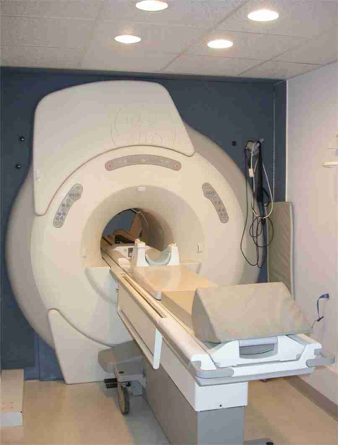 Applications include high-field research magnetic for accelerators such as LHC and MRI medical body scanners where higher magnetic fields equate to better resolution. Hampshire, D. P. (2018). A derivation of Maxwell’s equations using the Heaviside notation. Philosophical Transactions A: Mathematical, Physical and Engineering Sciences 367(2134): 20170447. Greenwood, Jack R., Surrey, Elizabeth & Hampshire, Damian P. (2018). Biaxial Strain Measurements of Jc on a (RE)BCO Coated Conductor. IEEE Transactions on Applied Superconductivity 28(4): 8400705, 1. Wang, Guanmei, Raine, Mark J. & Hampshire, Damian P. (2018). The Cause of ‘Weak-Link’ Grain Boundary Behaviour in Polycrystalline Bi2Sr2CaCu2O8 and Bi2Sr2Ca2Cu3O10 Superconductors. Superconductor Science and Technology 31(2): 024001. Wang, Guanmei, Raine, Mark J. & Hampshire, Damian P. (2017). How Resistive Must Grain Boundaries in Polycrystalline Superconductors be, to Limit J_c?. Superconductor Science and Technology 30(10): 104001. Ridgeon, F. J., Raine, M. J., Halliday, D. P., Lakrimi, M., Thomas, A. & Hampshire, D. P. (2017). 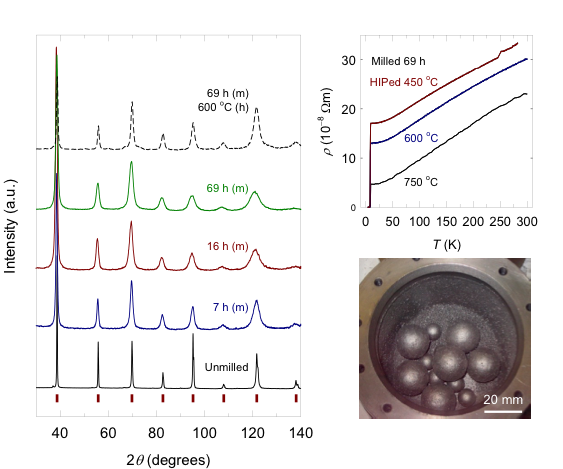 Superconducting Properties of Titanium alloys (Ti-64 and Ti-6242) for critical current barrels. IEEE Transactions on Applied Superconductivity 27(4): 4201205. Ghoshal, P. K., Fair, R. J., Hampshire, D. P., Hagen-Gates, V., Kashy, D., Legg, R., Renuka-Ghoshal, R. & Tsui, Y. (2016). Design and Evaluation of Joint Resistance in SSC Rutherford-Type Cable Splices for Torus Magnet for the Jefferson Lab 12-GeV Upgrade. IEEE Transactions on Applied Superconductivity 26(4): 4800304. Boutboul, T., Abaecherli, V., Berger, G., Hampshire, D. P., Parrell, J., Raine, M. J., Readman, P., Sailer, B., Schlenga, K., Thoener, M., Viladiu, E. & Zhang, Y. (2016). European Nb3Sn Superconducting Strand Production and Characterization for ITER TF Coil Conductor. IEEE Transactions on Applied Superconductivity 26(4): 6000604. Osamura, K., Machiya, S. & Hampshire, D. P. (2016). Mechanism for the uniaxial strain dependence of the critical current in practical REBCO tapes. Superconductor Science and Technology 29(6): 065019. Hu, D., Ainslie, M. D., Raine, M. J., Hampshire, D. P. & Zou, J. (2016). Modelling and comparison of in-field critical current density anisotropy in high temperature superconducting (HTS) coated conductors. IEEE Transactions on Applied Superconductivity 26(3): 6600906. Tsui, Y., Surrey, E. & Hampshire, D.P. (2016). Soldered joints—an essential component of demountable high temperature superconducting fusion magnets. Superconductor Science and Technology 29(7): 075005. Tsui, Y., Mahmoud, R., Surrey, E. & Hampshire, D. P. (2016). Superconducting and Mechanical Properties of Low-Temperature Solders for Joints. IEEE Transactions on Applied Superconductivity 26(3): 6900204. Hu, D., Ainslie, M. D., Rush, J. P., Durrell1, J. H., Zou, J., Raine, M. J. & Hampshire, D. P. (2015). DC characterization and 3D modelling of a triangular, epoxy-impregnated high temperature superconducting coil. Superconductor Science and Technology 28(6): 065001. Lee, T. S., Jenkins, I., Surrey, E. & Hampshire, D. P. (2015). Optimal design of a toroidal field magnet system and cost of electricity implications for a tokamak using high temperature superconductors. Fusion Engineering and Design 98-99: 1072-1075. Sunwong, P., Higgins, J.S. & Hampshire, D.P. (2014). Probes for investigating the effect of magnetic field, field orientation, temperature and strain on the critical current density of anisotropic high-temperature superconducting tapes in a split-pair 15 T horizontal magnet. Review of Scientific Instruments 85(6): 065111. Osamura, K., Machiya, S., Hampshire, D. P., Toshinori, T., Shobu, T., Kajiwarta, K, Osabe, G, Yamazaki, K, Yamada, Y & Fujikami, J (2014). Uniaxial strain dependence of the critical current of Di-BSCCO tapes. Superconductor Science and Technology 27(8): 085005. Carty, G.J. & Hampshire, D.P. (2013). 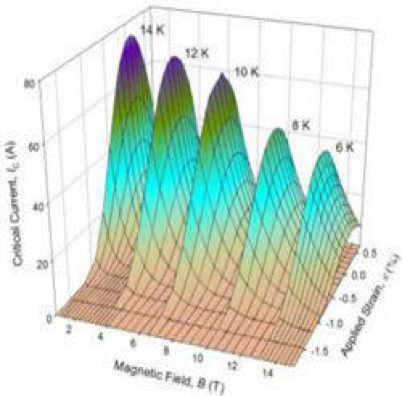 The critical current density of an SNS Josephson-junction in high magnetic fields. Superconductor Science and Technology 26(6): 065007. Sunwong, P., Higgins, J.S., Tsui, Y., Raine, M.J. & Hampshire, D.P. (2013). The critical current density of grain boundary channels in polycrystalline HTS and LTS superconductors in magnetic fields. 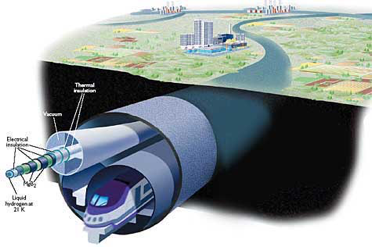 Superconductor Science and Technology 26(9): 095006. Sunwong, P., Higgins, J.S. & Hampshire, D.P. (2011). Angular, Temperature, and Strain Dependencies of the Critical Current of DI-BSCCO Tapes in High Magnetic Fields. IEEE Transactions on Applied Superconductivity 21(3): 2840-2844. Raine, M.J. & Hampshire, D.P. (2011). Characterization of the Low Temperature Superconductor Niobium Carbonitride. IEEE Transactions On Applied Superconductivity 21(3): 3138-3141. Higgins, J.S. & Hampshire, D.P. (2011). Critical Current Density of YBa2Cu3O7-delta Coated Conductors Under High Compression in High Fields. IEEE Transactions On Applied Superconductivity 21(3): 3234-3237. Taylor, DMJ, Al-Jawad, M & Hampshire, DP (2008). A new paradigm for fabricating bulk high-field superconductors. Superconductor Science & Technology 21(12): 125006. Lu, XF, Taylor, DMJ & Hampshire, DP (2008). Critical current scaling laws for advanced Nb3Sn superconducting strands for fusion applications with six free parameters. Superconductor Science & Technology 21(10): 105016. Carty, GJ & Hampshire, DP (2008). Visualizing the mechanism that determines the critical current density in polycrystalline superconductors using time-dependent Ginzburg-Landau theory. Physical Review B 77(17): 172501. Lu, XF, Pragnell, S & Hampshire, DP (2007). Small reversible axial-strain window for the critical current of a high performance Nb3Sn superconducting strand. Applied Physics Letters 91(13): 3. Carty, GJ, Machida, M & Hampshire, DP (2005). Numerical studies on the effect of normal-metal coatings on the magnetization characteristics of type-II superconductors. Physical Review B 71(14): 9. Taylor, DMJ & Hampshire, DP (2005). Properties of helical springs used to measure the axial strain dependence of the critical current density in superconducting wires. Superconductor Science & Technology 18(3): 356-368. Taylor, DMJ & Hampshire, DP (2005). Relationship between the n-value and critical current in Nb3Sn superconducting wires exhibiting intrinsic and extrinsic behaviour. Superconductor Science & Technology 18(12): S297-S302. Taylor, DMJ & Hampshire, DP (2005). The scaling law for the strain dependence of the critical current density in Nb3Sn superconducting wires. Superconductor Science & Technology 18(12): S241-S252. Niu, HJ & Hampshire, DP (2004). Critical parameters of disordered nanocrystalline superconducting Chevrel-phase PbMo6S8. Physical Review B 69(17): 9. Taylor, DMJ & Hampshire, DP (2004). Effect of axial strain cycling on the critical current density andn-value of ITER niobium-tin wires. Physica C-superconductivity And Its Applications 401(1-4): 40-46. Zanino, R, Bagnasco, M, Dittrich, G, Fietz, WH, Fillunger, H, Hampshire, DP, Heller, R, Komarek, P, Langhans, O, Maix, R, Marchese, V, Martovetsky, N, Mitchell, N, Nijhuis, A, Raff, S, Ricci, A, Suesser, M, Salpietro, E, Richard, LS, Taylor, DMJ, Ulbricht, A, Vostner, A, Wuechner, F & Zahn, G (2004). 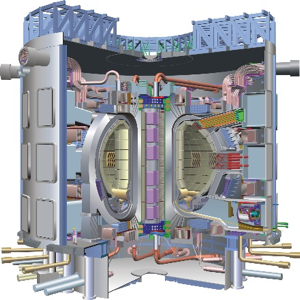 T-cs tests and performance assessment of the ITER Toroidal Field ModelCoil (Phase II). Ieee Transactions On Applied Superconductivity 14(2): 1519-1522. Keys, SA & Hampshire, DP (2003). A scaling law for the critical current density of weakly- and strongly-coupled superconductors, used to parameterize data from a technological Nb3Sn strand. Superconductor Science & Technology 16(9): 1097-1108. Leigh, NR & Hampshire, DP (2003). Deriving the Ginzburg-Landau parameter from heat-capacity data on magnetic superconductors with Schottky anomalies. Physical Review B 68(17): 4. Niu, HJ & Hampshire, DP (2003). Disordered nanocrystalline superconducting PbMo6S8 with a very large upper critical field. Physical Review Letters 91(2): 4. Wood, D., Greener, V. & Hampshire, D. P. (2002). Physics oxygen drips upwards from superconductors. Nature 415(6874): 860-860. Sneary, AB, Friend, CM & Hampshire, DP (2001). 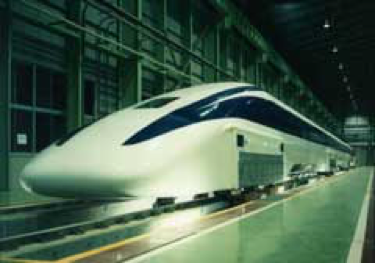 Design, fabrication and performance of a 1.29 T Bi-2223 magnet. Superconductor Science & Technology 14(7): 433-443. Cheggour, N & Hampshire, DP (2000). A probe for investigating the effects of temperature, strain, and magnetic field on transport critical currents in superconducting wires and tapes. Review Of Scientific Instruments 71(12): 4521-4530. Daniel, IJ & Hampshire, DP (2000). Harmonic calculations and measurements of the irreversibility field using a vibrating sample magnetometer. Physical Review B 61(10): 6982-6993. Friend, CM, Tenbrink, J & Hampshire, DP (1996). Critical current density of Bi2Sr2Ca1Cu2O delta monocore and multifilamentary wires from 4.2 K up to Tc in high magnetic fields. Physica C 258(3-4): 213-221. Ramsbottom, HD & Hampshire, DP (1995). A probe for measuring magnetic-field profiles inside superconductors from 4.2 K to Tc in high magnetic fields. Measurement Science & Technology 6(9): 1349-1355. Zheng, DN, Ramsbottom, HD & Hampshire, DP (1995). Reversible and irreversible magnetization of the Chevrel-phase superconductor PBMO6S8. Physical Review B 52(17): 12931-12938.